1251 W Fletcher closed last week for $526,000 after multiple offers. Watch the video and check out the great outdoor space. The home is also located in popular Burley Elementary School district boundaries. We represented our long time clients in the sale of their townhouse last week. We decided on a list price of $499,000 to generate serious, motivated buyers. The pricing and listing preparation worked well as we received several well qualified buyers offering over the list price. Our clients originally bought the home in April 2010 for $485,000 after we arranged the first showing prior to the town house being re-listed on the market. I remember we went to the February showing in a snow storm! 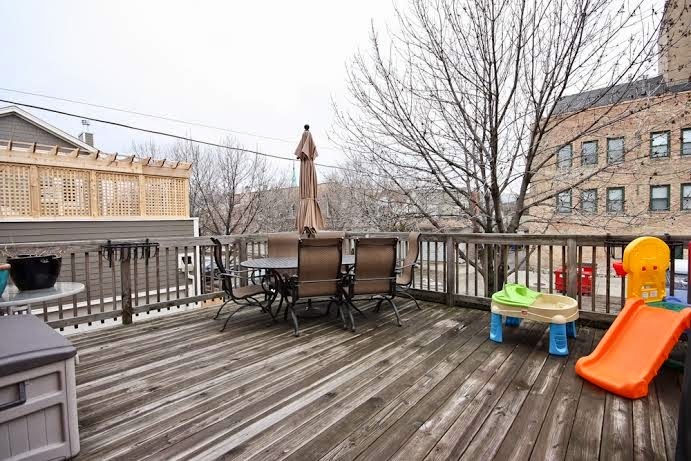 Congratulations to the new owners who closed just in time to enjoy their deck on Memorial Day weekend. And congratulations to our sellers who are now in far off lands.